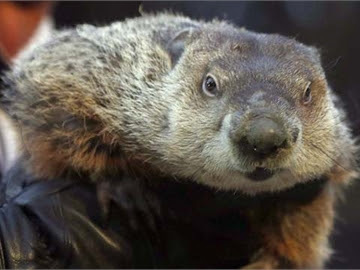 According to Punxsutawney Phil and Wiarton Willie we're in for six more weeks of winter. This should come as good news for the Vancouver Winter Olympics— in the Vancouver area they've been scrambling to import snow due to a dearth of it so far. Import snow—quite a bizarre concept, isn't it? Especially for the Great White North. So anyway, I'll be thinking snowy thoughts for Vancouver while simultaneously hoping that the Greater Toronto Area stays dry for the most part. Some mild temperatures would be nice too because yes, I'm a wimp, always the first person in the room to feel a draft and throw on a sweater or hoodie! As I type this I'm wearing my big Beatles hoodie, in fact. You can check out a brand new interview with my hoodie wearing self over at The Compulsive Reader today. There's information about my upcoming book, The Lighter Side of Life and Death, and my previous two novels, plus a little rant about cynicism (hate it, hate it!). Many thanks to Tirzah for her thoughtful questions!